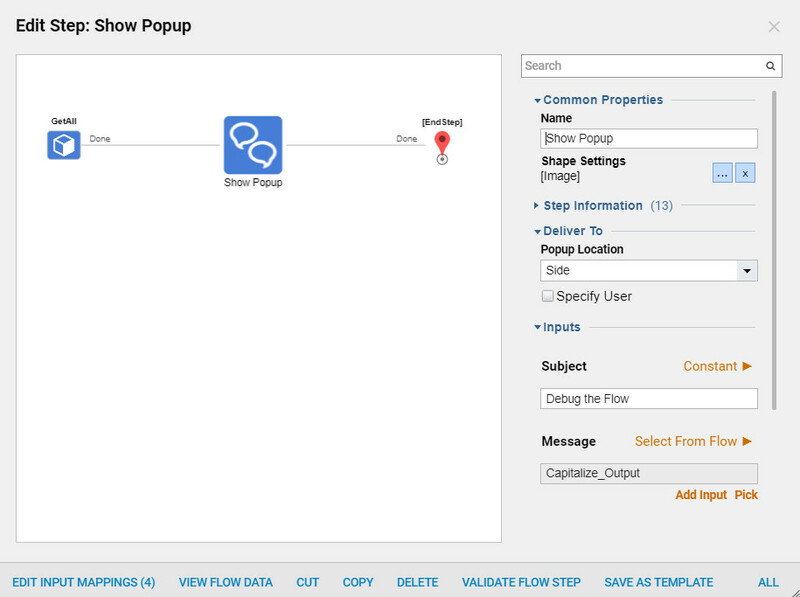 This tutorial demonstrates Flow Debugging	in Decisions 4.0 . 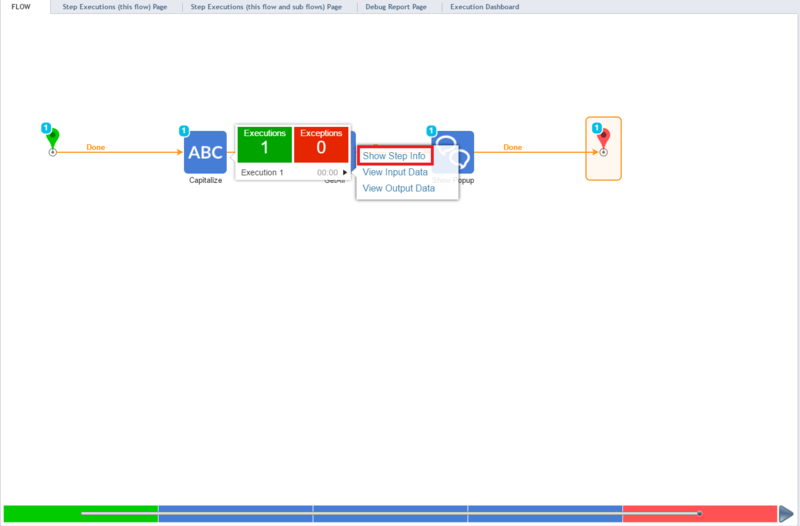 The Flow Debugger has been completely redesigned in the HTML	version of Decisions . In this example we are going to build a simple Flow in order to demonstrate Flow Debugging	in Decisions 4.0. 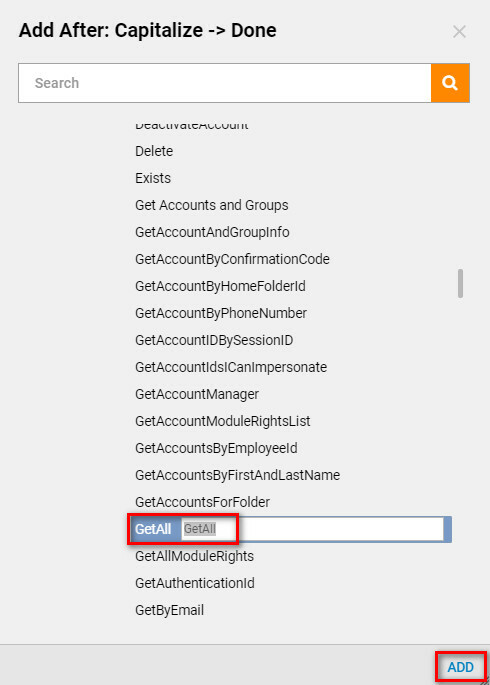 We begin in the Designer Folder with clickingCreate Flow	on Folder Actions Panel. 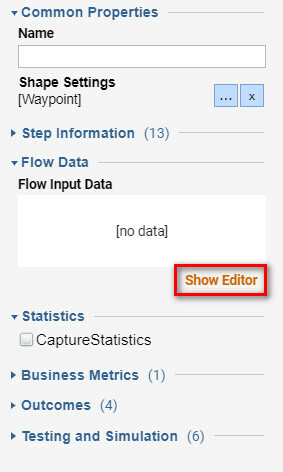 In the Flow Designer workspace, select the Start Step	and click the Show Editor	linkunder Flow Input Data . This is going to be a String Variable. 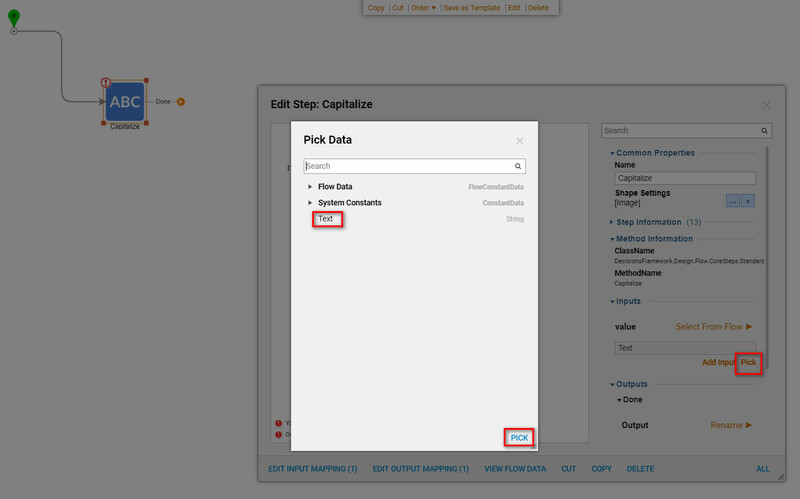 Then, on the Done	outcome from the Start Step we add a Capitalize	step from All Steps [Catalog] > Data > Text	category. Next, we select the Capitalize	step on the workspace. 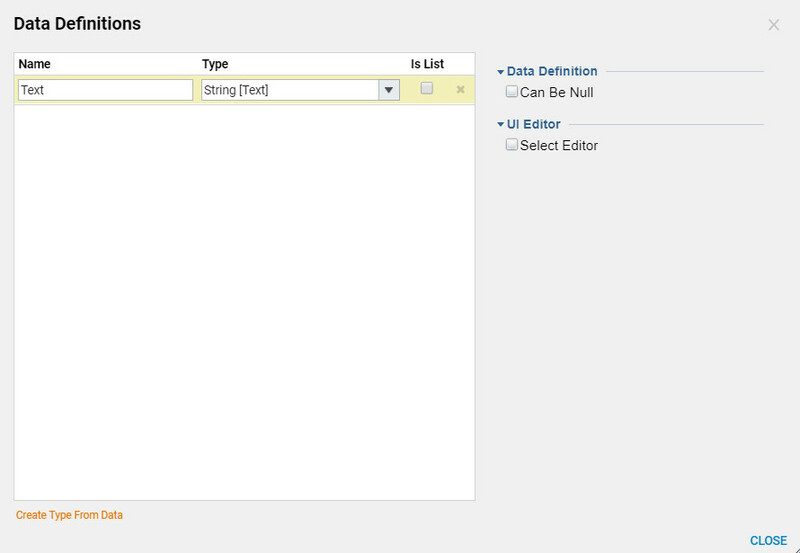 For the Input value	we choose Select Value	[From Flow]	Input data. On the Done	outcome from the Capitalize step we add a Get All	step. Integrations > All Integrations > Internal Services > Account Service. On the Done	outcome from the Get All step, we add a Show Popup	step from the Favorite Steps	category. Next, we select a Show Popup step on the workspace to setup Step Inputs	. 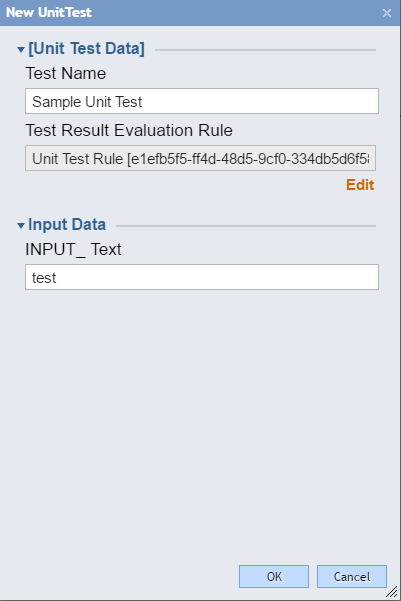 We define Constant	Subject (Test) and Select Value	of Capitalize_Output	for Message . Finally, we connect the Done	outcome from the Show Popup step to the End Step	in our Flow . Then, we select the End Step	on the workspace and Add New	Output Data . In the resulting window we Name	our Output Data and leave its Type	String . Click OK	to save and close this window. 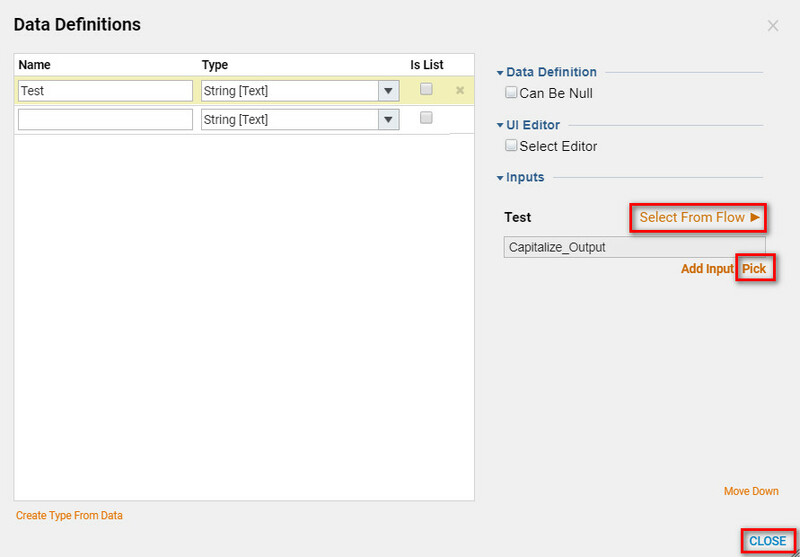 Next, for the Output Data	we Select Value	of Capitalize_Output. This completes our Demo Flow . Next, we are going to overview Flow Designer tools that are helpful in Debugging process. 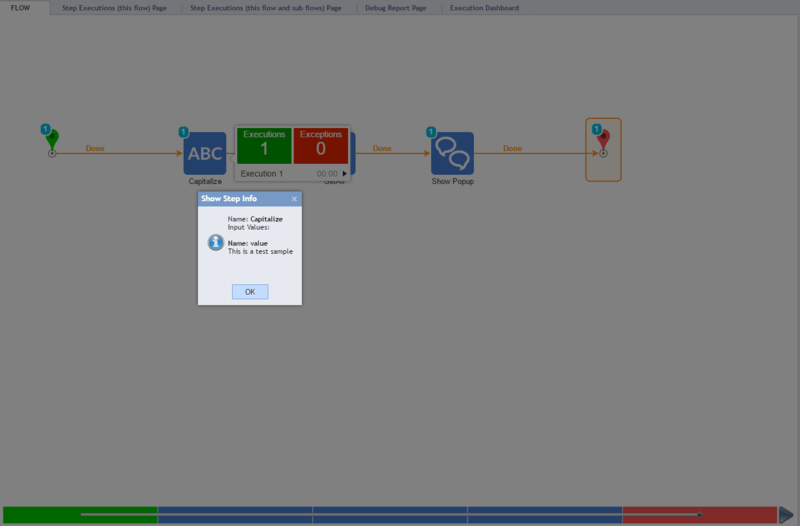 On the left panel of the Flow Designer we click Steps By Type	link. This opens up a Tab with all steps in the Flow sorted by Type	. We close this Tab . 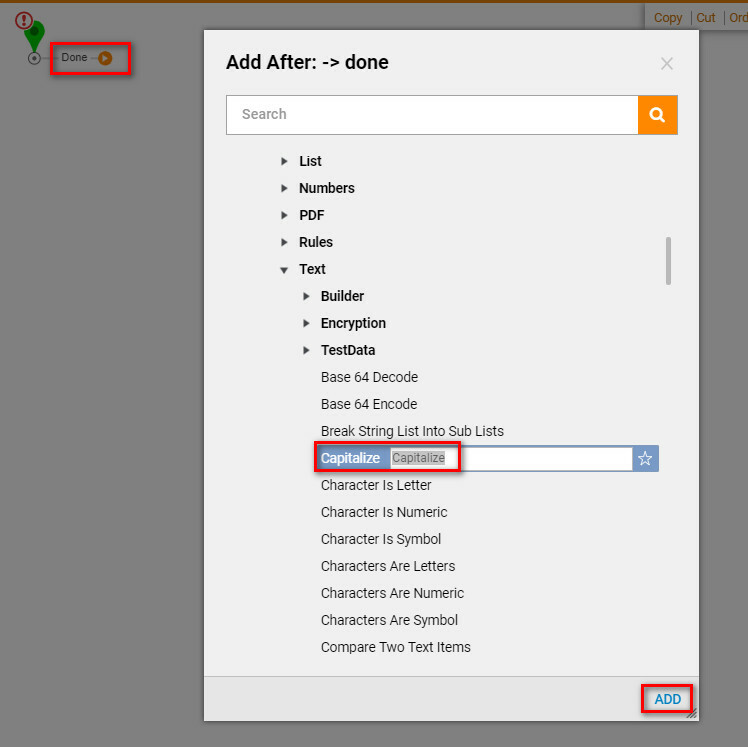 Then, we click Steps Explorer	link on the left panel of the Flow Designer. This tool opens up a Tab with all steps in our Flow . This tool is useful to find a step in the Flow when we have too many steps. We close this Tab . 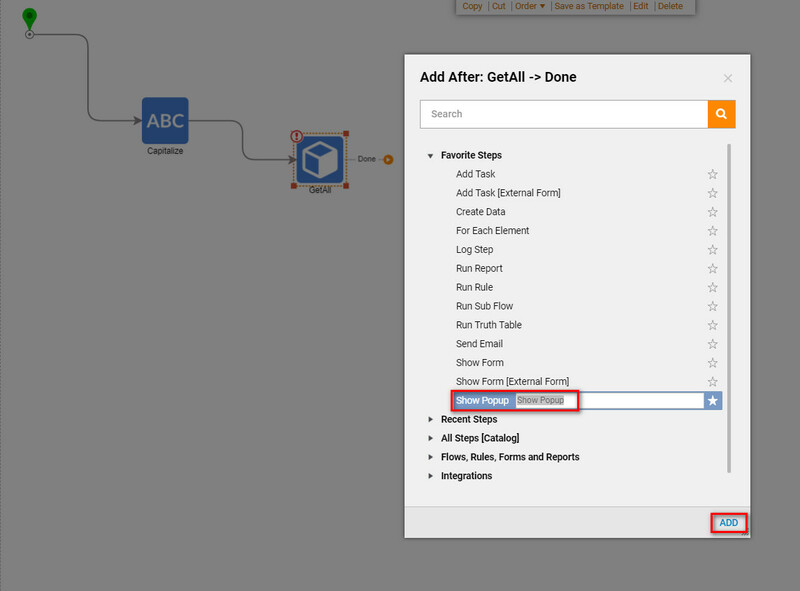 Next, we click Data Explorer	link on the left panel of the Flow Designer. This tool opens up a Tab with all data in our Flow . This tool helps us to track data flow in our Workflow process. 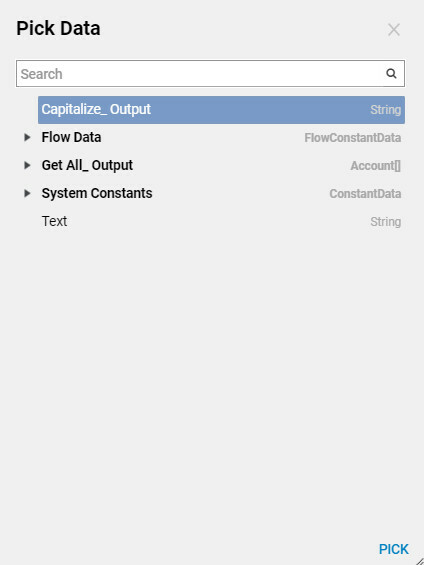 For instance, if we click Capitalize_Output String	we can see that this Data is created as an outcome from Capitalize	step, then used as an Input	to Show Popup Step	(for Message input) , and used as an Output Data	on the End Step	in our Flow . Then, we close this Tab . Next, we click Sample Data	link on the left panel of the Flow Designer. This tool opens up a Tab where we can Add New	Unit Tests and Data Samples . We click Add New	Unit Test. In theNew Unit Test	pop-up window we define Unit Test Name	, create Rule	to Evaluate Flow Outcome , and define Flow Input Data	. When finished, we click Ok	to save Unit Test and continue. Back in the Sample Data	Tab under Unit Tests	we can run our Test	by clicking the Debug	link (play button). We click Add New	link to add Data Sample. ANew Sample	window pops up. 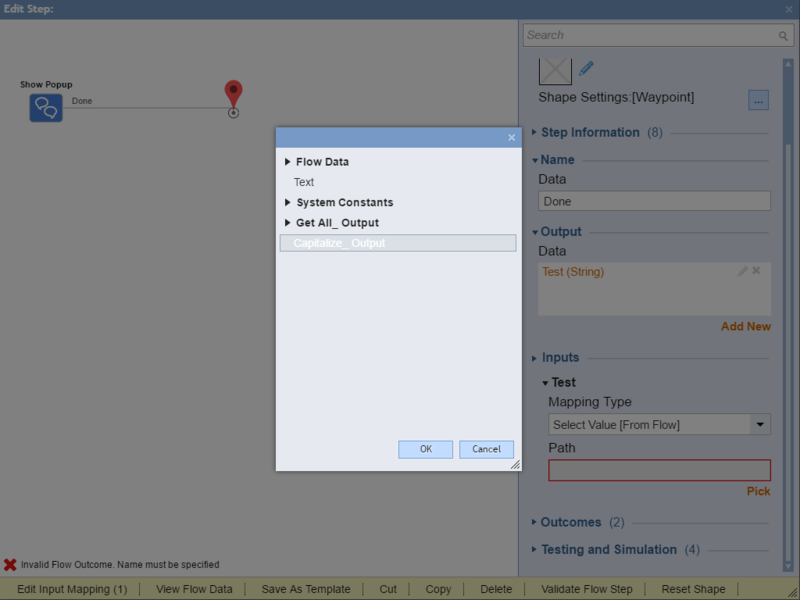 In the Sample Data	section we define our Flow Input Data	. 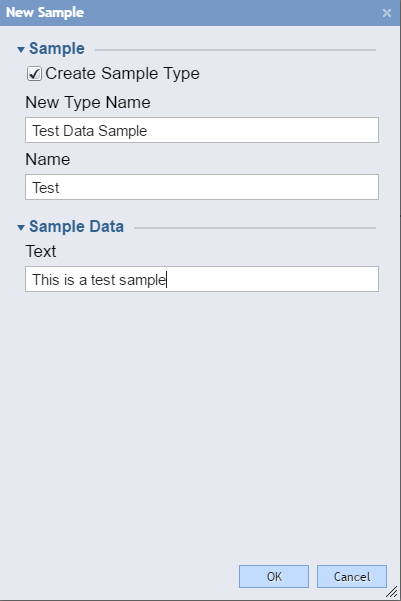 In Sample	section we can either Create	Sample Type	or put this Sample Data under existing category for this Flow . Data Samples	are very handy because we can create several Samples	and test our Flow execution with different Data	. When finished, click Ok	to save Sample Data	and continue. Back in the Sample Data Tab,	click Debug	link (play button) under Data Samples > Test Sample > Test. Flow Debugger	opens. In the main window we can see four Tabs	: FLOW, Step Execution (this flow) Page, Step Execution (this flow and sub flows) Page, Debug Report Page , and Execution Dashboard. 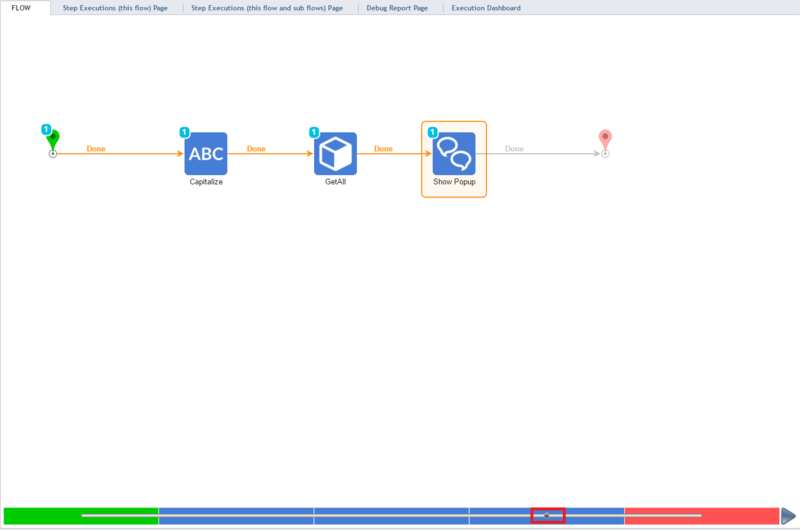 TheFLOW	Tab demonstrates graphical Flow execution sequence. Currently, our Flow executed successfully. At the bottom of the main window we can see a progress bar with Play	button at the end. Also, the green bar at the beginning indicates theStart Step	and a red bar at the end indicates End Step. Select any step on the graphical diagram and click on execution. We can look at the step info, input, and output data. We can look up step information using Show Step Info	action. Step information is being displayed in the pop-up window. 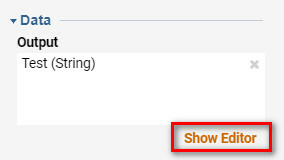 Click OK	to close Show Step Info	pop-up. By moving the mini circle on the progression bar, at the bottom of the page, we can inspect different Flow Execution States. Next, we openDebug Report Page	Tab in the main Flow Debugger window. 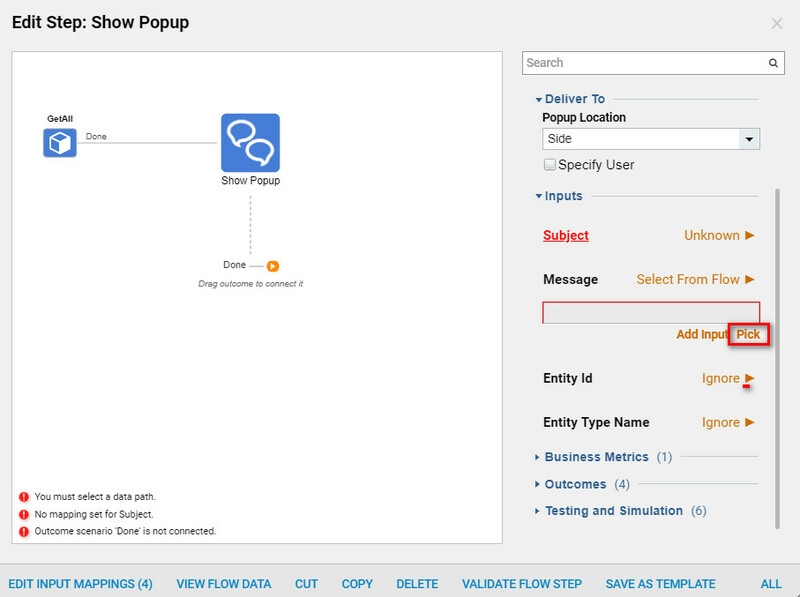 This Page contains a Report	of all executed Flow Steps	. For every step, we have an action to Show Step Info	just like we have on graphical Flow execution window. This Page	is customizable and can be designed to display additional information using the Decisions Reporting	and Dashboard	engine. Finally, we open Execution Dashboard	Tab . This is another Page	designed using the Decisions Reporting	and Dashboard	engine. Therefore, it is fully editable. By default it displaysDebug Report	along with the following tiles: Total Time, Number of Steps, Number of Flows, Number of Rules, Number of Exceptions	. We also have an option to switch from Debug Report	to a different Report like:Input Data Report, Output Data Report, Step Executions, etc.